My family doesn’t like chicken. I know! It’s so weird. Dinners at our house are usually either vegetarian or beef. We love the crowd pleasing favorites like chili, tacos, pizza, spaghetti and even our unconventional favorite, taco stuffed shells. But while grocery shopping I saw packages of organic chicken drumsticks for a great price and I had an idea. 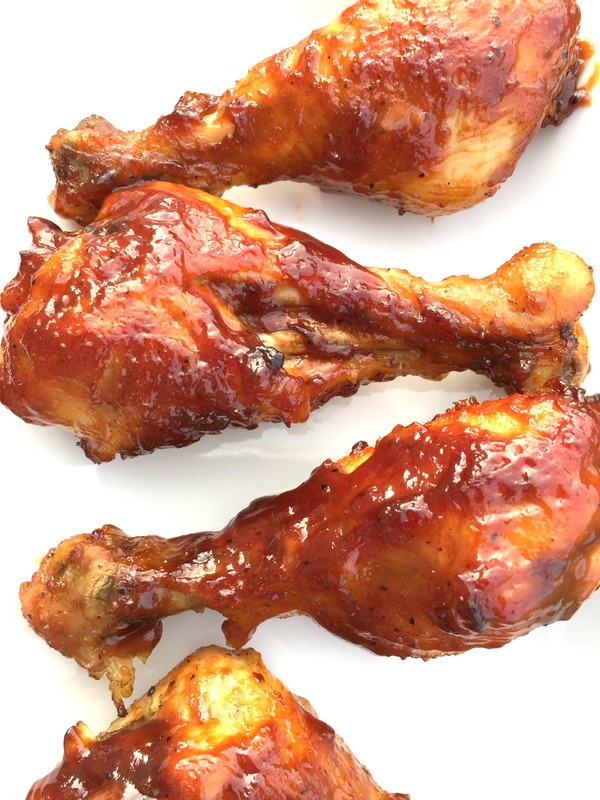 They all love bbq chicken wings, maybe I could make bbq chicken drumsticks and pass them off as wings! I decided to go for it and dropped two packages into my cart. I wanted the skin to get crispy, like a chicken wing, without being deep fried. I also wanted to sauce to get sticky and a little caramelized. I had high hopes for these imposter chicken wings, and they didn’t disappoint. My husband ate three. I ate two. The boys each ate one and Lily licked the sauce. That’s four outta five and I call that a win! The secret to getting your oven baked drumsticks crispy as deep fried wings? Brushing with oil (I used olive oil but any oil will do) and the right baking sheet. 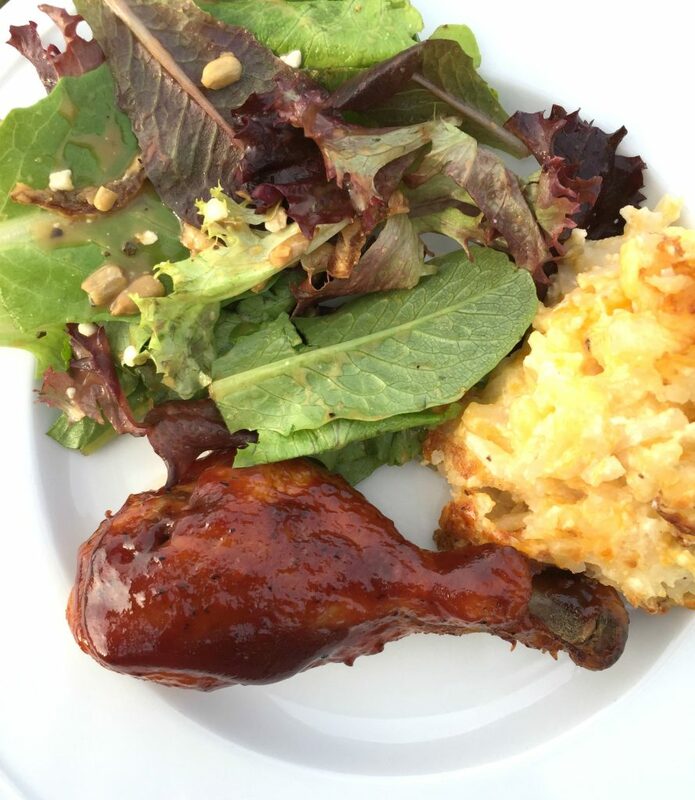 You need to spread the chicken pieces out on a baking sheet that has short sides so the juices don’t drip all over your oven, but the sides aren’t so high that they cause the chicken to steam while it cooks. I think the sauce choice is important too. 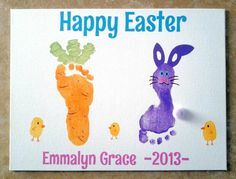 We love Sweet Baby Ray’s. I know it’s a little strange to buy organic chicken and slather it with highly processed, high fructose corn syrup containing, bottled barbecue sauce, but the heart wants what it wants. Brush chicken liberally with oil and sprinkle with salt and pepper. Place on a (baking sheet) and bake for 25 minutes. Remove chicken from oven and turn the temperature up to 425 degrees. While the oven is heating up, flip the chicken over. Place back into the oven for 7 minutes. 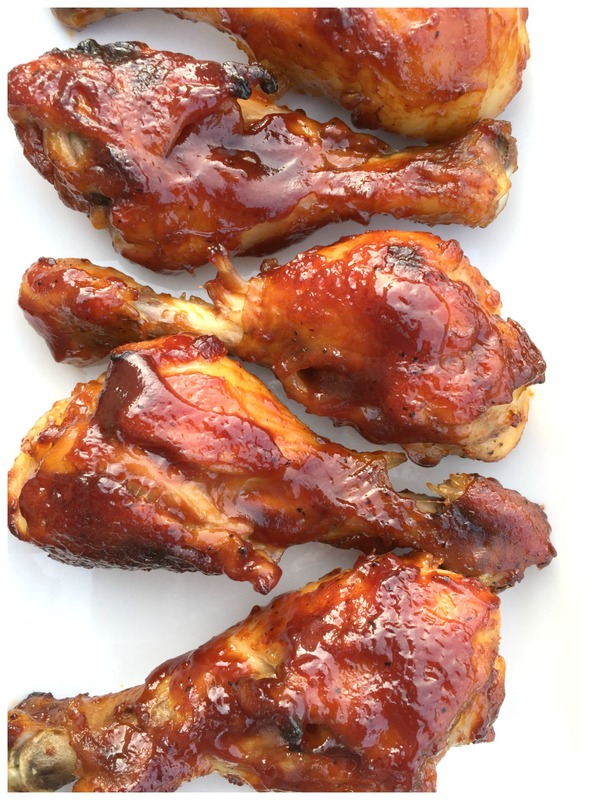 Remove chicken from the oven, brush with barbecue sauce and put it back in the oven for 7 more minutes. Remove from the oven again, flip it over and baste with sauce. Place it back in the oven for 7 more minutes. Check chicken to make sure it’s fully cooked. If not, put back into the oven until done. If so, baste with more sauce and put under the broiler until chicken is crispy and sauce gets caramelized. Looking for more easy dinner recipes? 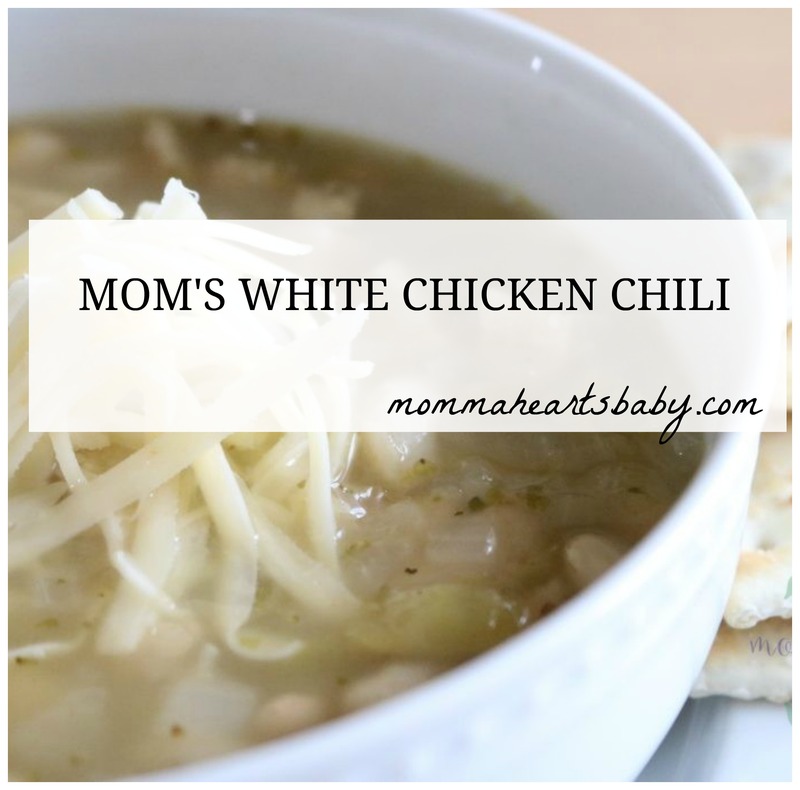 What about this yummy white chicken chili?